This theme is only for Blogger (blogger.com) platform. It will NOT work on other platforms such as WordPress, Squarespace, tumblr, etc. 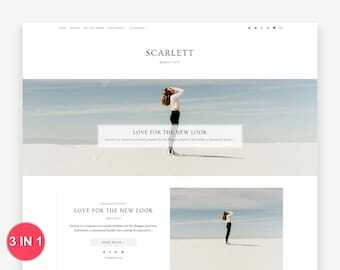 Samara is a feminine, minimalist and Premade Responsive Blogger Template accented in soft color tune for blogger platform (blogger.com). It's loaded with awesome features. 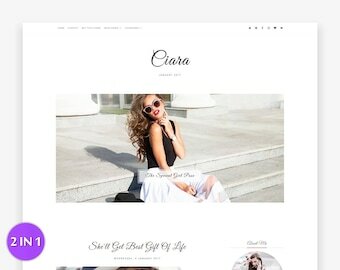 Samara is fully responsive on all devices and Will look great on any fashion, beauty, travel, lifestyle, blog, etc. + it is very easy to use! Samara's post and sidebar areas are 800px and 250px wide respectively. You can change the width of post and sidebar areas with Blogger Template Designer. (You can choose the version which matches your requirements). Don't Worry! This Blogger template is fully responsive on all devices including the smartphones. Straightforward and clear-cut coding makes it quick to load. 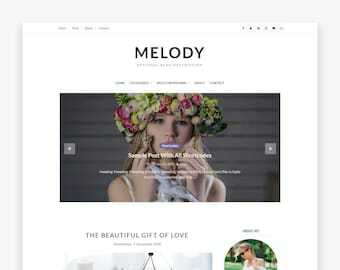 This Minimalist Blogger theme supports the blogger template designer which lets you easily handle entire template color scheme and design. You can Upload the background image, change width and customize widgets with this theme. 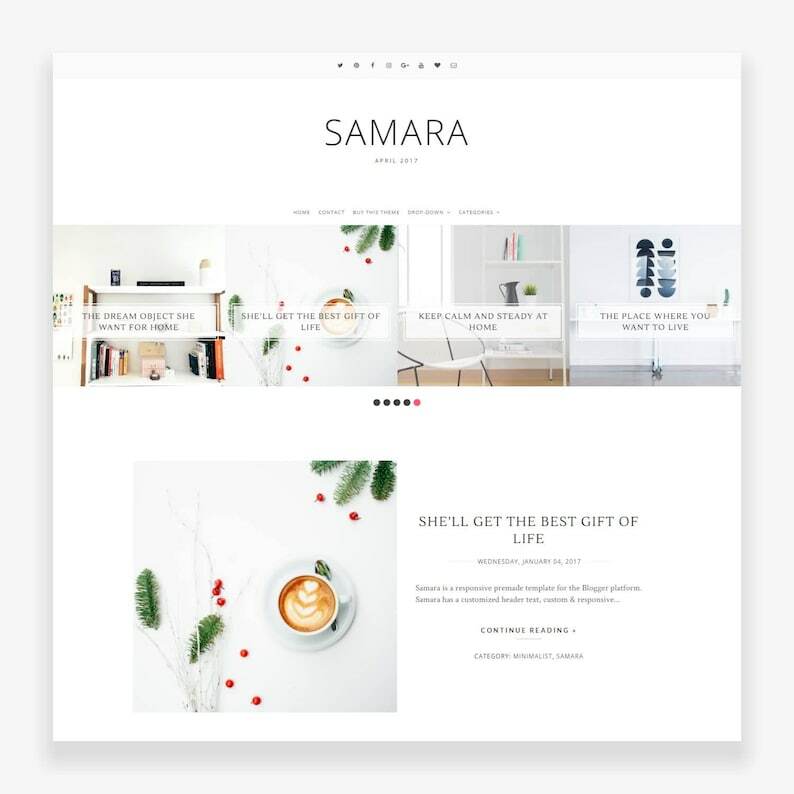 Samara is a Premade Blogger Theme specially designed for hobby, fashion, beauty, family or personal blogger with alternative post style. Samara lets you to easily create multi-level drop-down menus with links and provides the best way for user navigation by organizing your long menu in a good and the sophisticated manner that your readers will love. 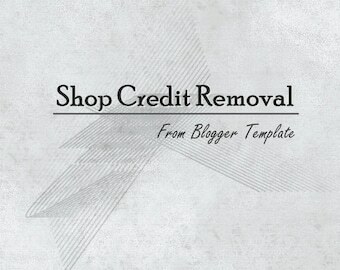 This theme provide an option to add contact form in static pages of blogger. With this theme, You can not only add the contact form in sidebar, but also add it in any page you like. Now, you can easily setup custom 404 error page for your blog, if someone lands at non exist content, then you can show the customized page in place of blogger default message. With our template, you can easily configure the 404 Error page. 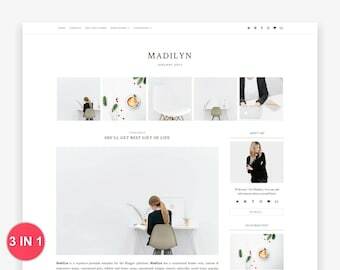 - Custom Post layout on Homepage - First Image & Post Title, Date (+Labels), a short snippet of text and read more button (Alternate Masonry Grid Layout). - And included lots of other things! I needed to find an affordable, gorgeous and easy to install theme and this is is exactly that. It's so simplistic and although I had a couple of issues with installation the seller was quick to respond and resolve the issue and now it's live and looking great! I am loving this theme, It was easy enough to install which is great for someone who has no clue about HTML! Shop owner is also incredibly helpful and assisted me with creating a category drop down. Highly recommend this shop, beautiful designs and lovely customer service! HORRIBLE CUSTOMER SERVICE. I sent them an email 4 days ago and they never answer my question about this template even if they say they'll be in touch within 24 hours. I've found out the slider works with only recent posts. You can't put specific labels on sliders. I think it's difficult to use!! The Customer contacted me via Blogger Contact Form Which was delivered into SPAM folder of my mailbox. This happens without any mistake on my part or on customer, it is automatically handled by google. However, I have contacted the customer and tell him how to show Specific Label Posts in Slider. As i have already apologized to customer about what happens. However, He neither responds back to any of my messages once he had received the solution. Therefore, i have decided to leave the public reply here. Gorgeous template - easy to work with and Robin is a pleasure! Thank you again. Highly recommend.